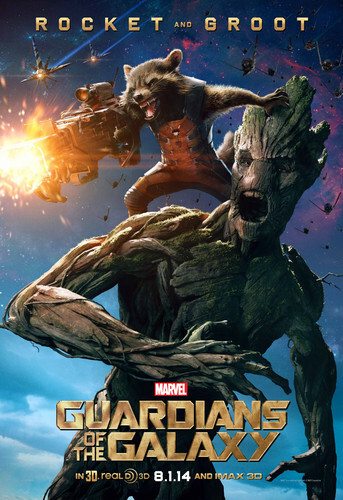 Rocket and Groot - New Poster. They are really awesome as teammates!. HD Wallpaper and background images in the Guardians of the Galaxy club tagged: photo guardians of the galaxy 2014 marvel groot rocket racoon. They are really awesome as teammates! This Guardians of the Galaxy photo contains 애니메이션, 만화, and 만화책. There might also be 분수.